A spine-tingling tale of steampunk and spies, intrigue and heart-racing romance!When Katharine Tulman's inheritance is called into question by the rumor that her eccentric uncle is squandering away the family fortune, she is sent to his estate to have him committed to an asylum. But instead of a lunatic, Katharine discovers a genius inventor with his own set of rules, who employs a village of nine hundred people rescued from the workhouses of London. This book sounds right up my alley. 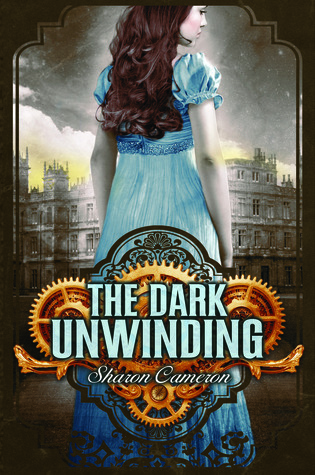 Steampunk and London - I am so in! The book comes out September 1st from Scholastic. wow, indeed!! lol!! i am definitely adding this to my list! Well written, with complex and interesting characters. The mystery side was a little predictable, but that didn't detract from the overall storyline. I liked it enough that I will be buying and reading the sequel.